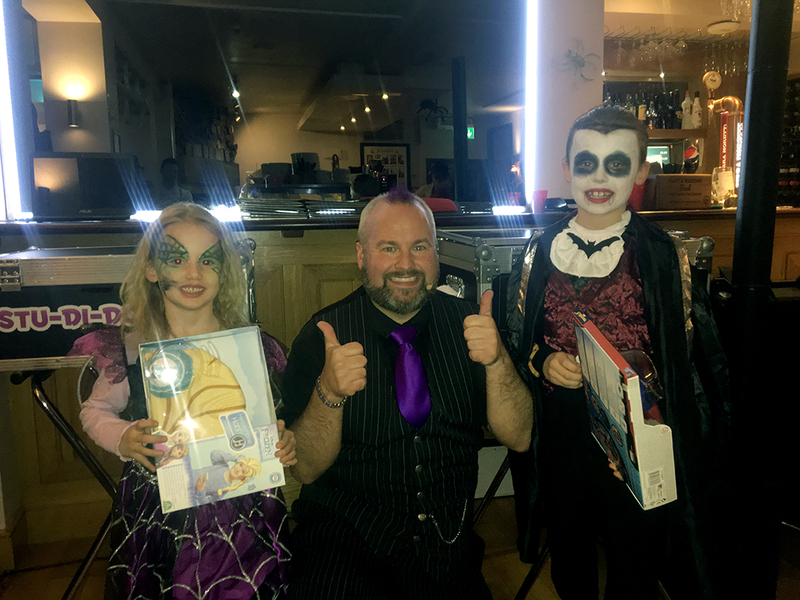 Creepy ghoulies, witches and vampires filled LB’s Pizza House on Sunday afternoon (28th October) at our annual children’s Halloween party. 32 local children turned out their best Halloween costumes, (along with their parents) from skeleton’s to superheroes, princesses to witches and many more; it was certainly a very colourful event. 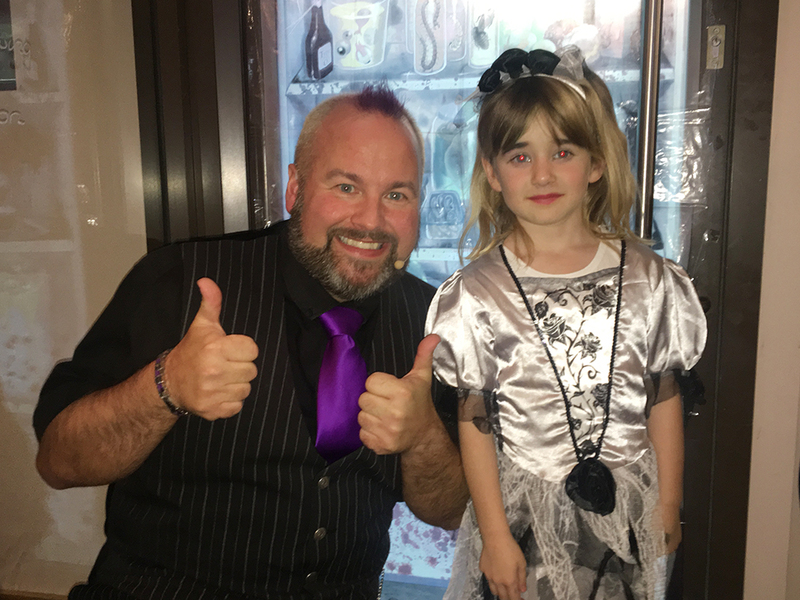 Restaurant Manager, Dymitri Langner went all out this year with the Halloween decorations and eerie music, and leading the show was children’s entertainer, Stu-Di-Doo, who put on a fun-filled magic show, with spooky games, mysterious tricks and plenty of sweet treats. Our annual event is such a hit with the locals, many of them return year after year, it’s also great fun for our staff; everyone gets involved from dressing up to joining in the games with Stu-di-Doo. The entertainment was first class, bringing magic and laughter to the event. Lucy and Harry Thoburn were named winners for the best fancy dressed at the party, they were presented with a Frozen headphone hat for best dressed girl and a Spiderman headphone hat for best dressed boy.